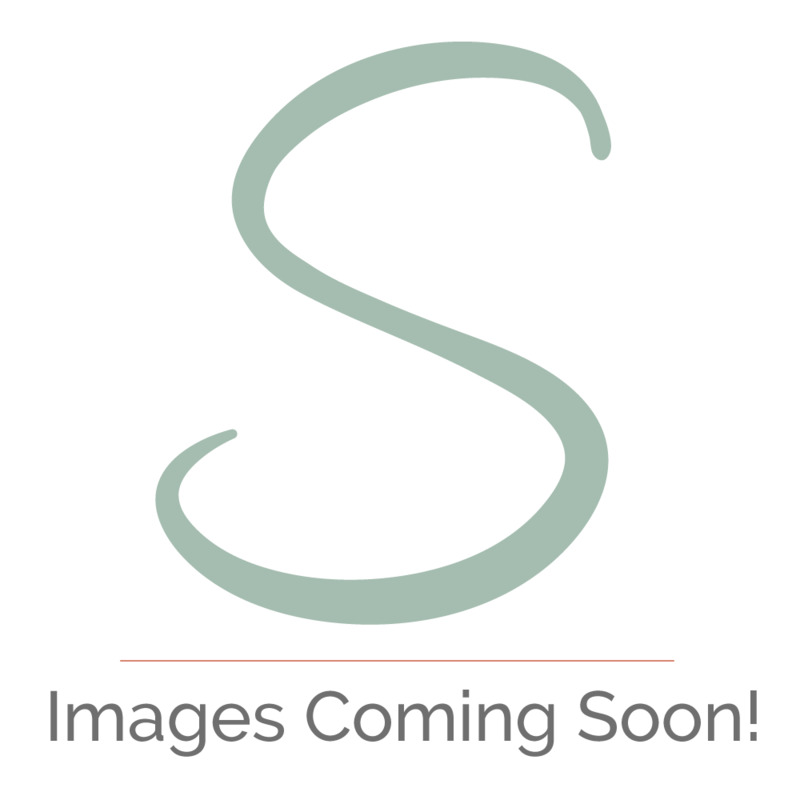 Look what the cat dragged in – this delightful tabby cat clock! This cat wall clock is the purr-fect gift for any cat lover; they’ll be the cat that got the cream! This cat clock with wagging tail is the cat’s pyjamas! Do you feel like the décor in your home is missing a certain something? A clock is often the centrepiece of a room as we all need to check the time throughout the day. 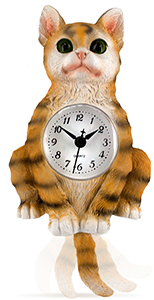 Your guests will certainly know what time it is when you proudly display this adorable cat pendulum clock on your wall! This clock really puts the cat amongst the pigeons, creating conversation wherever you hang it. You’ll be purring with delight when you see how great it looks in your kitchen, living room or anywhere else that takes your fancy! Featuring a delightful wagging tail mechanism, this is the perfect gift for any cat lover and will remind you of all your favourite felines whenever you look at the time. You don’t need night vision to read this clock – its white display features numbers from 1-12 in clear black writing with minute markers. This would make it ideal for a child’s room as it can help those who are learning to tell the time. The Quartz mechanism offers super reliable time keeping that is the global standard. The clock has a second hand which is great for using as a timer; it’s all too easy to lose track of time when you are admiring the artistry that has gone into carving this cute kitty! The clock is in the shape of a lovely orange tabby with black stripes, much like everyone’s favourite comic cat Garfield – but you won’t hate Mondays any more when you’re waking up to this beauty! Its bright green eyes have been carefully painted and glazed so that you’ll feel like there’s a real cat keeping you company. Powered by one AA battery, it has a clip on the back that can be used to hang it anywhere you like. Let the cat out of the bag and order one today!